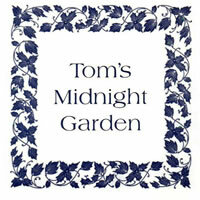 Tom's Midnight Garden Adapted for the stage by David Wood. From the book by Philippa Pearce. 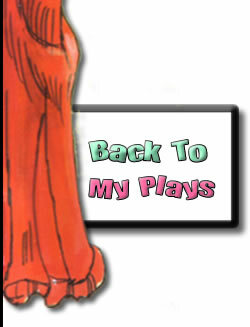 The play was first presented by Unicorn Theatre at the Pleasance Theatre, London in 2000. 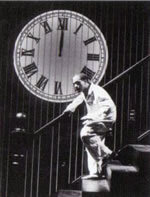 The following year, the production toured the UK and played at the New Victory Theatre, New York, USA. For Christmas 2002/3, Manchester Library Theatre presented the play, and the Questors Theatre, Ealing, presented the amateur premiere. The Unicorn production won The Equity Award for Best Show for Children and Young People in the 2001 Theatre Management Association Awards. This play is an adaptation of Philippa Pearce’s 1950s classic boy’s nightly voyage to a Victorian past. Quarantined in his Aunt’s and Uncle’s stuffy flat because his brother has measles, Tom is restless and bored. Intrigued by a Grandfather clock, religiously wound by the elderly owner of the house, Mrs. Bartholomew, Tom is startled one night to hear the clock strike thirteen! Slipping out of bed he goes to what in his time is a concrete backyard, only to discover a beautiful Victorian garden of the 1880s. 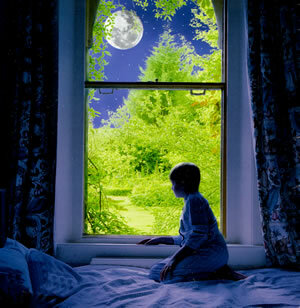 He meets the unhappy orphan, Hatty, who initially is the only person who can see him, and he visits her each night at the same hour, writing enthusiastically to his brother, Peter, about his adventures. But although Tom stays the same exuberant 10-year-old, Hatty grows into a young woman during these visits. Before the story can reach its outcome, Tom has to return to his parents, but the truth is revealed in a touching denouement. David Wood writes : I was thrilled that Philippa Pearce entrusted me with the task of bringing her brilliant book to the stage for the first time. Tony Graham directed a truly splendid production for Unicorn, which was as well received in New York as it was in London and all over the UK. With doubling, the original production used eight actors. It would be possible to use more. The play is published by Samuel French Ltd First Class Professional & Foreign Rights : Casarotto Ramsay Ltd. UK Repertory Rights : Casarotto Ramsay Ltd. UK Amateur Rights : Samuel French Ltd.